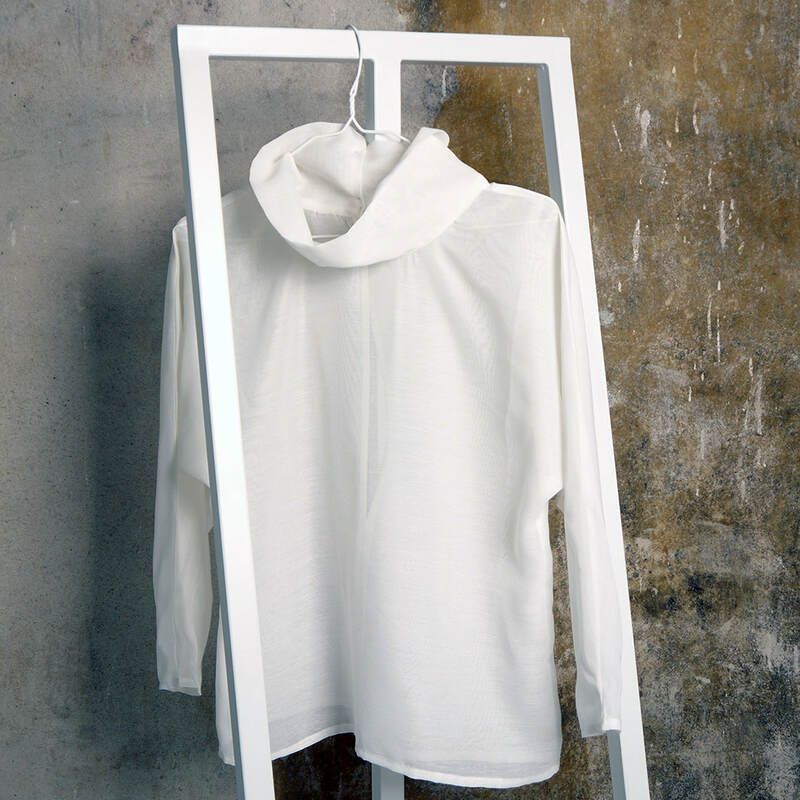 Blouse is made from polyester fabric (recycled from home textiles). Open back part, 3 plastic buttons at back collar. 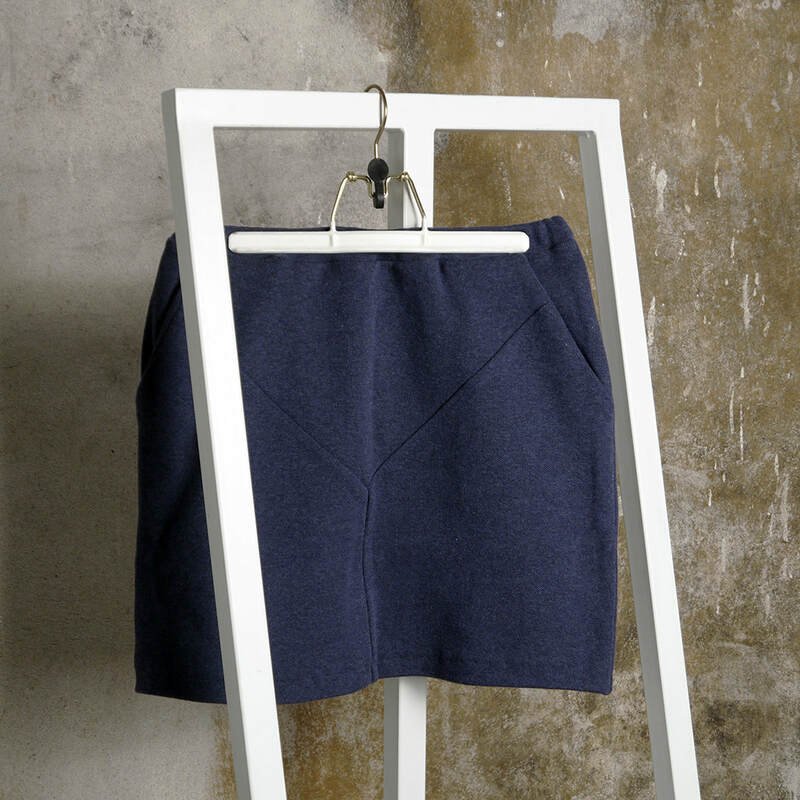 Skirt is made from unbrushed cotton/elastane fleece. Pockets in front. Elastic band inside waist.